Our Alps tables and chairs ranges are uniquely designed. A great way to bring flexibility to your Early Years classroom space as tables and chairs can be quickly stacked to free space for alternative classroom use. Tables and chairs are supplied with wear resistant feet for noise reduction. 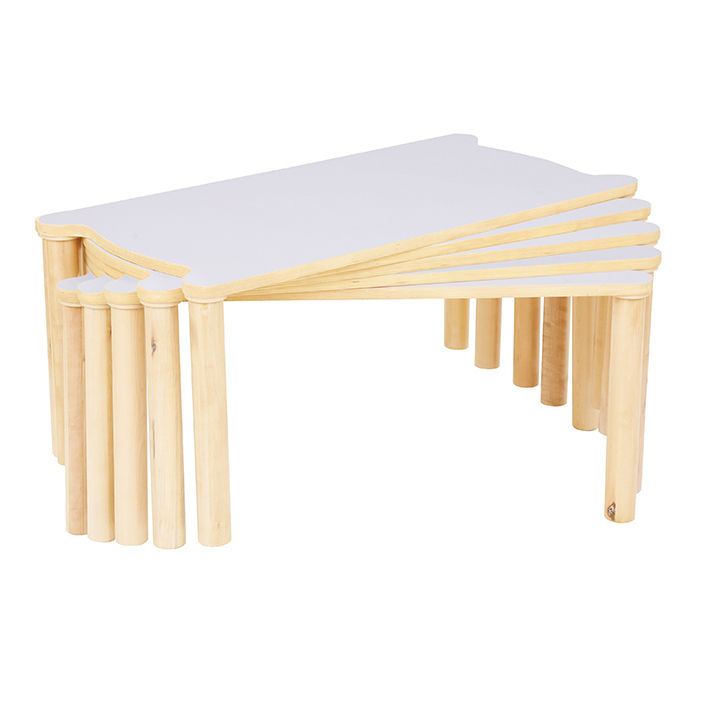 Maple and white – supplied flat pack for simple self-assembly. Rectangular tables can be stacked. Ages range from 3 – 8 (size mark 1/2/3).